Over recent months I’ve been developing some brand new article writing software. In fact it is a software version of my online rewriting tool and it’s called Easy Article Rewriter Pro. This software is NOT a spinner in any way shape or form. It is in fact a pure writers application that allows you to write or rewrite extremely strong content using a number of features and live statistics. In fact, it is so powerful it enables you to write articles that rank above near enough ALL other articles targeting your subject or keyword. Hard to believe? Yes. Possible? Damn right it is. In fact over the last few weeks I’ve been testing this technique by using the software to write content and then submitting those articles to Ezinearticles or Goarticles. 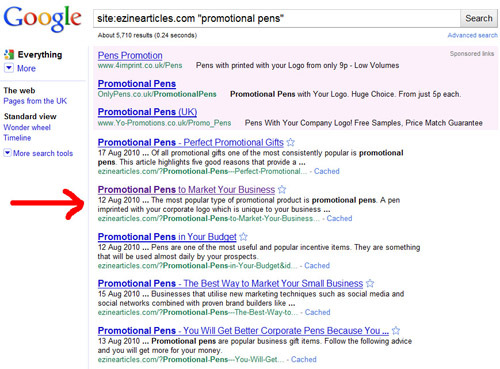 Now the amazing part is, after being indexed by Google they rank near the top, if not no.1 of the search results. Now in my opinion, that is impressive. I spent literally hours and hours analyzing Google, working out how they evaluated content and ranked it accordingly. This is of course a work in progress but the results so far are pretty amazing. The software works hand in hand with this technique BUT it does do a lot more and it’s MAIN purpose is rewriting existing articles and making them completely unique… although this isn’t an automated process… it’s an easy one! What I’m looking for is a number of ‘dedicated’ beta testers who are willing to use the software substantially over the next week or so. All that is required is for you to use the software to write or rewrite articles which you can use for your own purpose and report any bugs or issues you may come across by using a ‘bug report’ system that has been setup. The only other requirement is for you to give me an honest opinion on the software and it’s features. Remember, it is not a spinner. 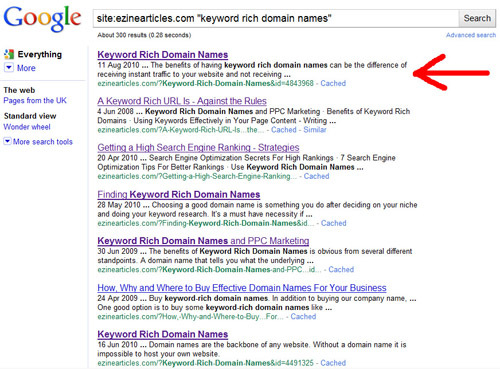 It is for creating powerful content which will be weighted highly by the search engines. It may be that I get inundated with offers so if I don’t reply then it’s because I’ve been swamped. As for the release of this software, it will be very soon. I will be releasing a video shortly which will showcase its features and uses! If you have any questions or would like to leave a comment below, please do. Sounds like a breakthrough…hope so. I’d be glad to test it out. Been writing copy and articles for 19 years. I appreciate your email and invite to test your new product. I would love to test it. I have been writing articles for some time now with less than great results. If your software is able to help us write and see results in search engines, I look forward to testing it and putting it to good use. Is this an update of “Article Writer Pro”? I would love to give your software a try. Rewriting articles has always been a struggle for me. This sounds like just what I need. I sent you an email. Your previous software has been good and I’m sure this will be good as well. Love to try it. I would love to be a beta tester! I use Easy Article Rewriter extensively and it helps me to always provide unique content. i have been using 2 different products and find them only ok have minor issues with both,i am more than willing to test for you and give you good honest feedback. Wow. Great minds think alike. I was just thinking about how I needed to check into article writing software to help me out with my online writings. I would love to test this product for you, if you so choose! This this the kind of tool most internet markeeters and writers need to make the most of their time and talents. Bravo for coming up with a much needed product. Much success, to both of us. As an ex-editor of a country newspaper I’m used to writing articles at a moment’s notice. Now that I work online, I write and rewrite daily for my various websites. A tool that can help me do this will be a massive time saver. Looking forward to the beta test. I’d love to test the new software. Please include me. I have been using your Easy Article Rewriter for quite some time now. I would love to be one of the testers for your new Pro Rewriter. Hope im one to be picked. Doing the 30 day challenge right now and have 2 sites to put up and need lots of great fresh content. Hope your software can put me at the top. Hi, I know you are the expert in this field!Please let me in to be your beta tester..thanks! Your Easy Article Rewriter was the best I’ve come across so far, so I can’t wait to see how the new software would top it up. I am a article writer from India and am using your Article Writer Pro for the last one year or so. I would like to give it a try. So count me in. Yes, I would be interested. I write and submit heavily to EZA & other article directories. I also write a lot for my several blogs & websites. So, put in my name as a beta tester. Producing fresh content without spinning is great idea. Wish u best luck. Plese count me in for beta tester. please conder me as a tester. Nice thing to hear.Some fresh content needed.Kindly count me in! Please count me in as well, Andy! Can’t wait! Andy, I can’t wait to see the outcome. I know it’s going to be great. I have been privileged to use some of your products, and they are great. Yes, I am interested in being a beta tester. I am published in several niches, and would like to beta test for you. Your software sounds great! Looking forward to hearing about how to be a beta tester. Sure Andy i would love to give your software a try and trial it on your behalf as i dp a lot of articles daily. Can’t wait to see the product. Please keep me informed. If there are still openings for this Beta testing I’d like to be included in the group. I am interested to be one of your beta-testers.